IITA was among the major sponsors and partners of first All Africa Postharvest Congress & Exhibition. 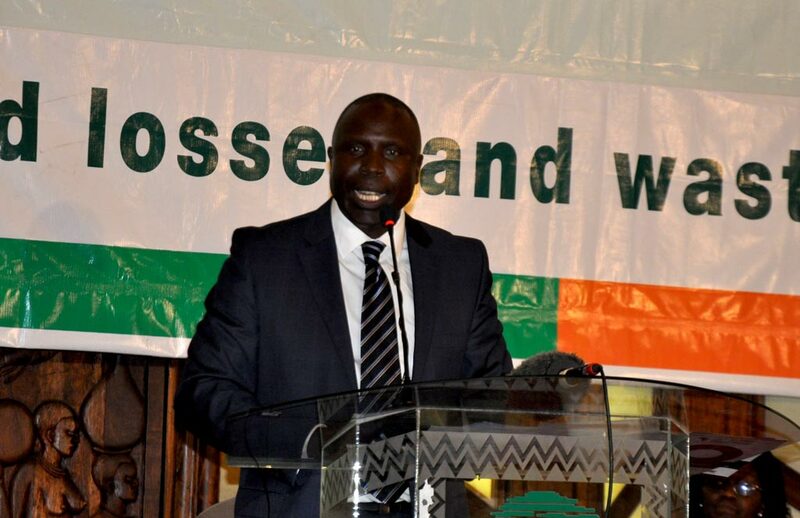 The Congress resonated well with one of IITA’s key areas of focus–reducing postharvest losses. 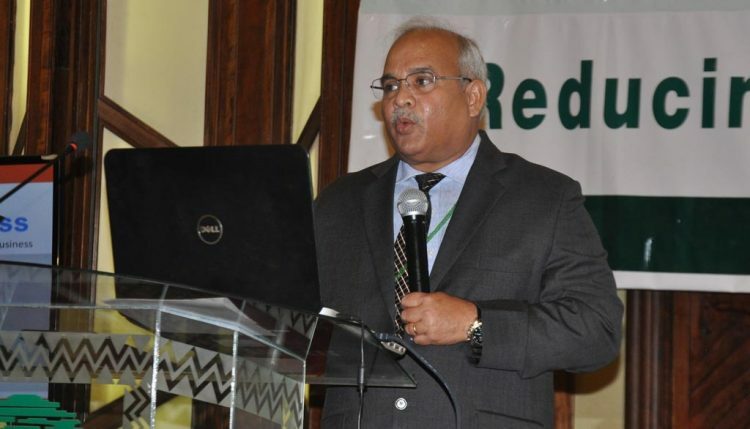 Postharvest losses render all our attempts to increase production a waste of effort and resources,” said Ranajit Bandyopadhyay, speaking at the official opening of the Congress on behalf of IITA’s Director General, Nteranya Sanginga. The Congress was organized by the World Food Preservation Center® LLC in conjunction with the University of Nairobi and a consortium of universities and a research and development institution in Africa. With the theme: “Reducing Postharvest Food Losses: Sustainable Solutions for Africa”, it brought together over 600 stakeholders in the food supply chain including researchers, policy makers, development partners, farmers, and the private sector. 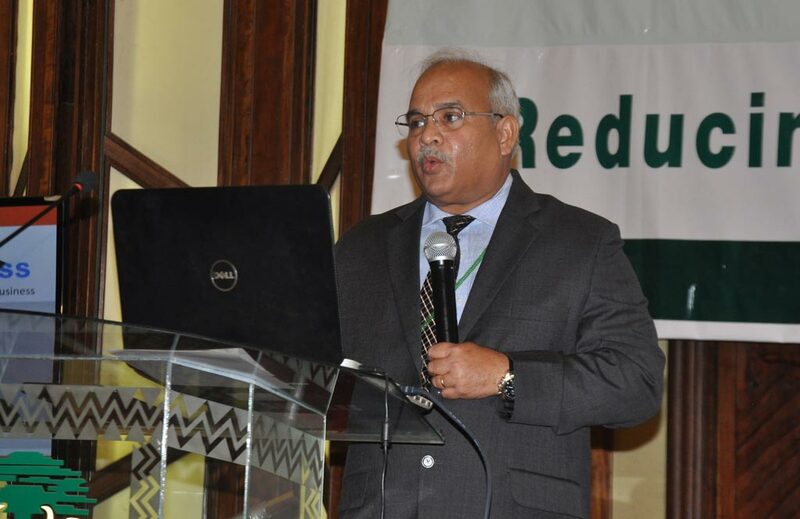 Ranajit was also a keynote speaker during a parallel session on Aflatoxin management, food safety and nutrition. IITA in collaboration with partners also organized a three-hour symposium looking at efforts across the continent to reduce aflatoxin contamination and its impact on food security, health, and trade. IITA was also among the 60 exhibitors at the Congress to showcase its technologies and efforts to reduce postharvest losses. These included the effective and affordable biocontrol product for aflatoxin control, Aflasafe. The Institute also demonstrated technologies to reduce postharvest loss in cassava through processing into stable products with increased shelf life such as flour and garri by coating the roots with wax. While normal cassava roots go bad in three days, coating with wax increases the shelf life to 14 days allowing for transportation to distant markets. The technology is being piloted in Uganda for the urban market where consumers were willing to pay the extra premium for the extra days of shelf life. The wax-coated cassava roots are being sold in supermarkets. Congress declared a major success! The participants of this inaugural conference declared it a success but asked organizers to ensure it was not another talk-show and to follow up on recommendations made. The other suggestion was that it should not be a one-off event but should take place every two to three years and the venue rotated around different African countries. IITA’s participation in the event was ably led by Charity Mutegi, IITA’s Aflasafe Coordinator in East Africa and a member of the Congress’ Local Organizing Committee. She was assisted by Jane Kamau and Njeri Okono, both from IITA’s Aflasafe Technology Transfer and Commercialization (ATTC) Project, as well as by Catherine Njuguna from IITA Communication and the IITA Aflasafe team based at KALRO Katumani.